The use of the latest technology available has become essential in all farming practices. The advantages are that it improves productivity as well as quality of work; it reduces input costs and allows you to control expenses and improve your everyday working environment. We supply both Topcon and Outback products. All products are of the highest quality and new developments are constantly added to the product lines. Topcon Precision Agriculture offers a wide range of products to suit all agricultural needs. The heart of all these products is the Zynx X20 control system. The touch-screen X20 runs on a Windows Operating System and controls all functions and implements. AES 25 electric steering for all makes and models of tractors with the accuracy you need. 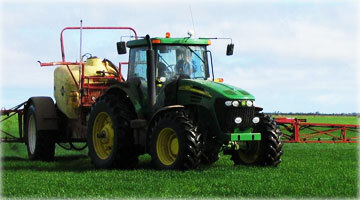 GPS Guidance for tractors and equipment. X20 Weatherstation for real-time windspeed and direction, humidity, temperature and delta T. Visual and audio warning system. All data is stored for future referance. AgCam cameras to monitor any parts on equipment such as spray booms. Live images and video are displayed on the X20 screen. These systems are so versatile, that they can be used for countless applications. One such an example is a fertilizer factory that recently installed a Zynx X20 based system to control and manage their complete mixing process. Visit the Topcon website for more information or contact us for a detailed qoutation according to your needs. This company also supplies a wide range of equipment for affordable GPS guidance options etc. Visit the Outback website for more information or contact us. 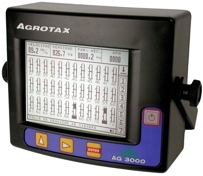 The AG3000 is a simple, versatile, affordable and rugged planter monitor for any planter. 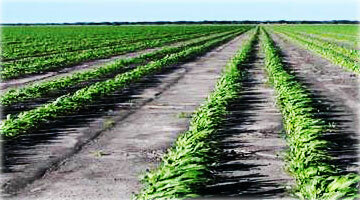 Monitors up to 72 crop and fertilization rows. Rotation monitoring of up to 7 shafts. Minimum level monitoring of up to 2 bins.